Couponia is the best solution for selling coupons or any kind of goods. It can be used as coupon website (such as groupon.com) and also as online store. Modern, simple and unique design. It will amaze your clients and users. Huge amount of demo homepages (7 for coupons and 6 for shop), and lost of features will help you to make your website really unique. It also can support different layouts (boxed and wide) with background images and patterns. 5 header layouts, 15+ product thumbnail layouts, quick view support, different sliders, 18 color schemes and more. Just pick it up and make it yours. 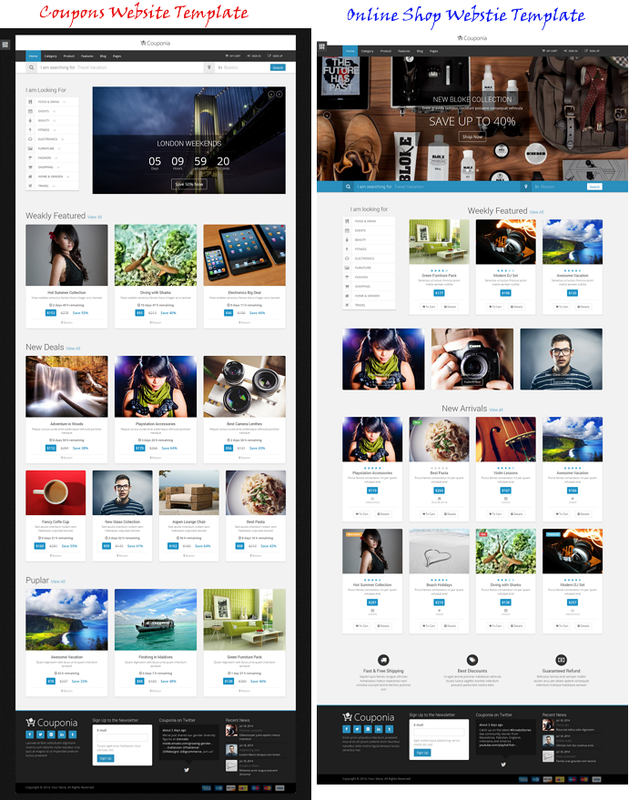 Everything build under latest bootstrap 3 framework. 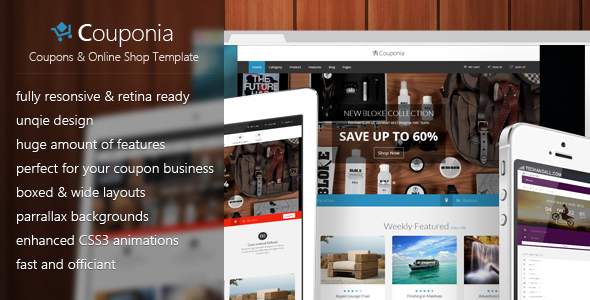 Item Reviewed: Couponia Coupons and Online Shop Template 9 out of 10 based on 10 ratings. 9 user reviews.